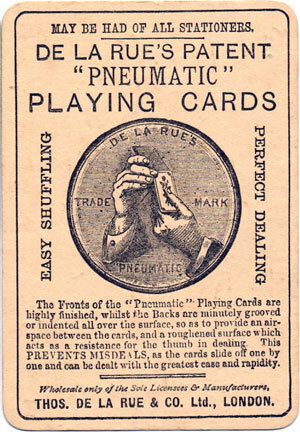 Pneumatic playing cards were invented by William Thomas Shaw, an old employee and De la Rue friend who had recently become a partner in the company. 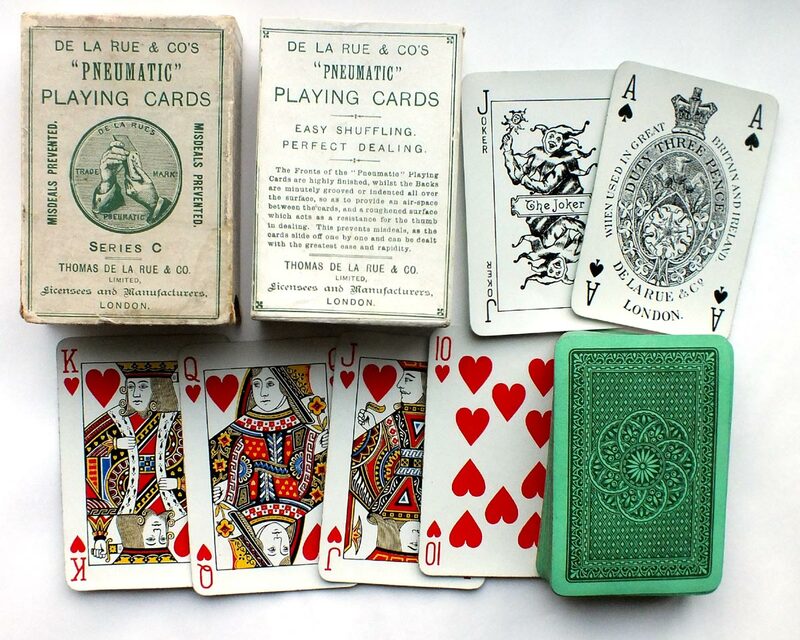 The surface of the cards was slightly grooved by being rolled on prepared plates, so that there were little pockets of air between each card, which prevented them sticking together. 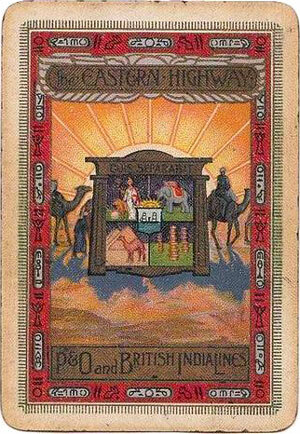 The invention came at about the same time as round corners and indices, i.e. c.1890. 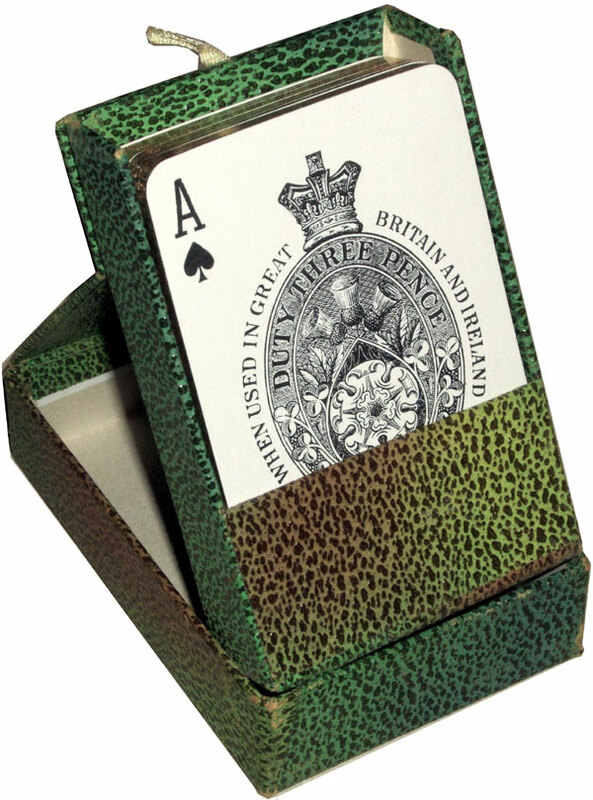 By impressing a herringbone design into the back of the card air was trapped to prevent sticking and cards slid easily during dealing. 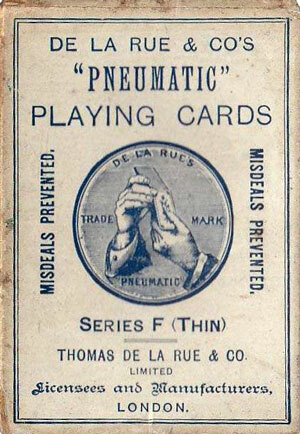 We have received from Messrs. Thomas de la Rue & Co. specimens of playing cards made on a principle which they have patented and describe as pneumatic, its object to facilitate shuffling and dealing, by preventing the cards from adhering to one another while they are manipulated. 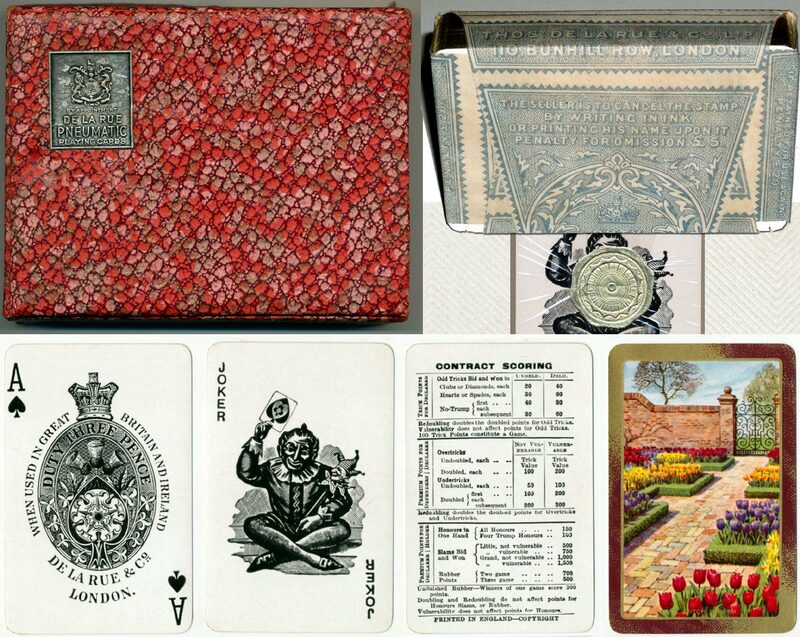 The invention consists of a special preparation of the surfaces of the cards. 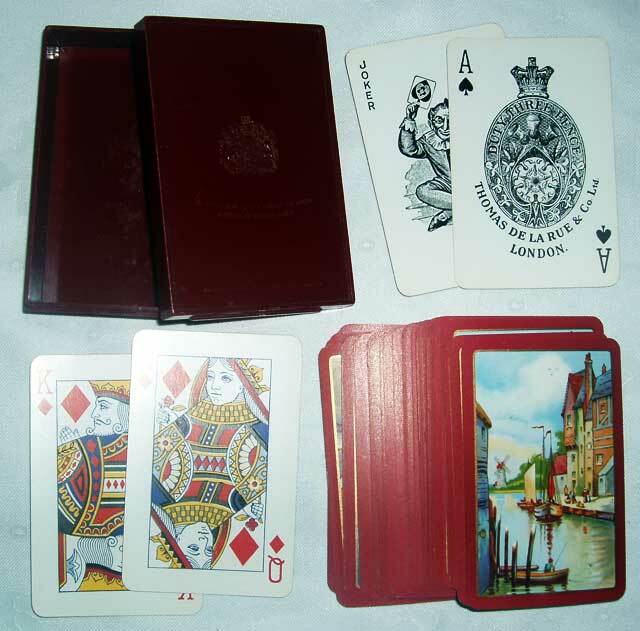 The fronts are highly finished while the backs are minutely grooved or indented all over, so as to provide an air space between the cards and a roughened surface, which acts as a resistance for the thumb in dealing. 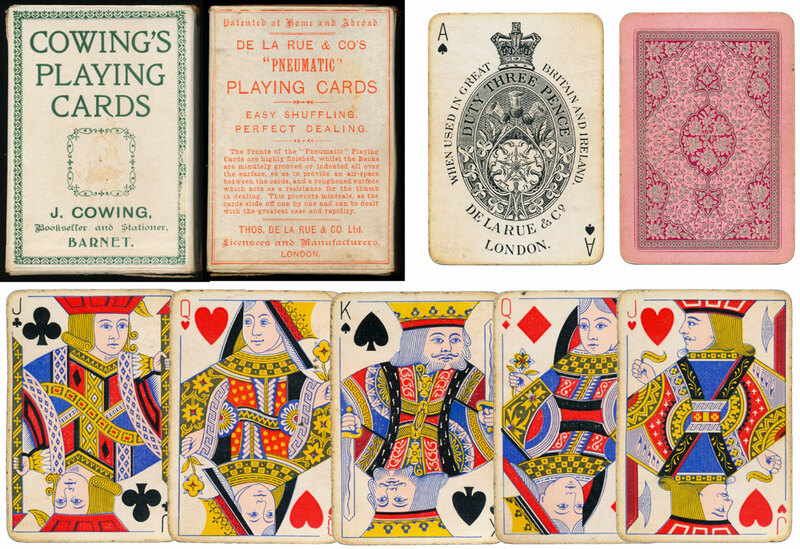 The cards slide off one another with ease and rapidity. Extracted from The Times 16th February 1891 and quoted in The Newsletter of the English Playing Card Society, issue 64, May 1999, p.29. 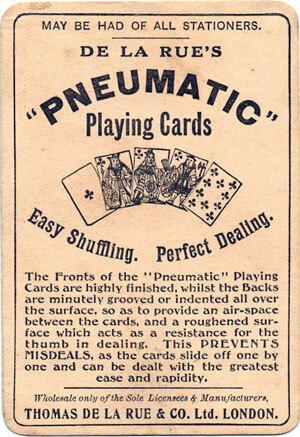 Pneumatic playing cards were originally introduced in hard telescopic boxes, with geometric or plain back designs, in a range of different qualities (thicknesses) at prices ranging from one shilling to two shillings. There was also a matching paper wrapper inside the box with a tax wrapper around it. 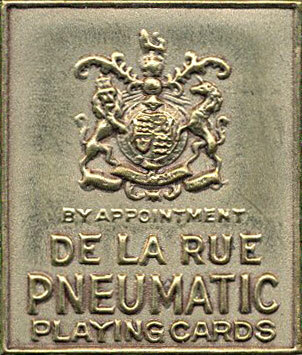 Pneumatic playing cards were also issued by De la Rue's subsidiary The Empire Card Co. Ltd. 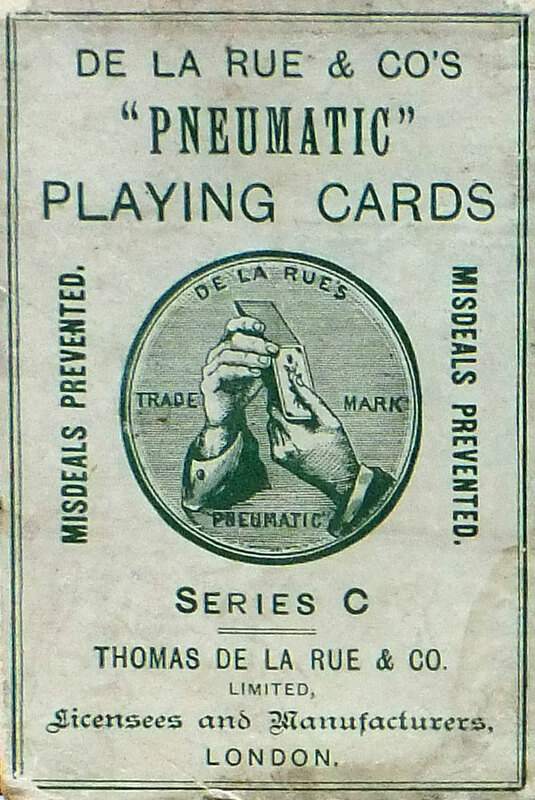 Above: De la Rue & Co’s Pneumatic playing cards, series 'E'. 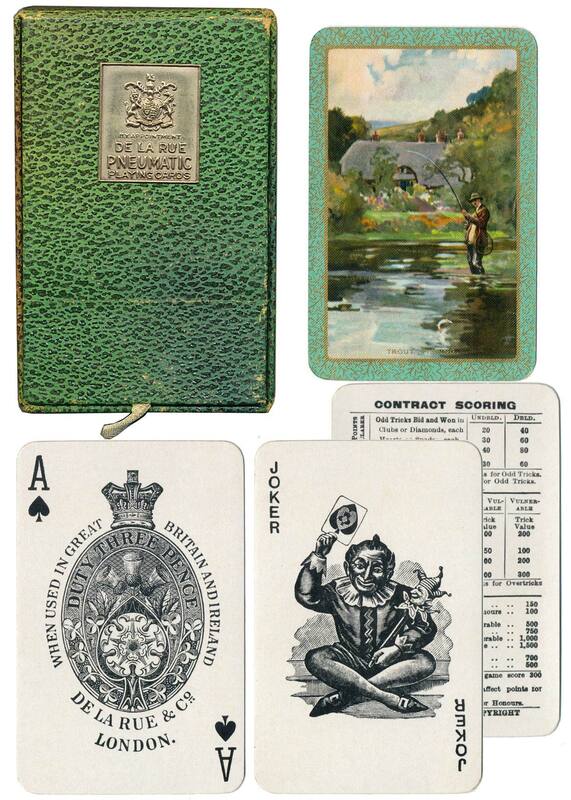 The corner indices are incorporated into the card borders, c.1900-1922. 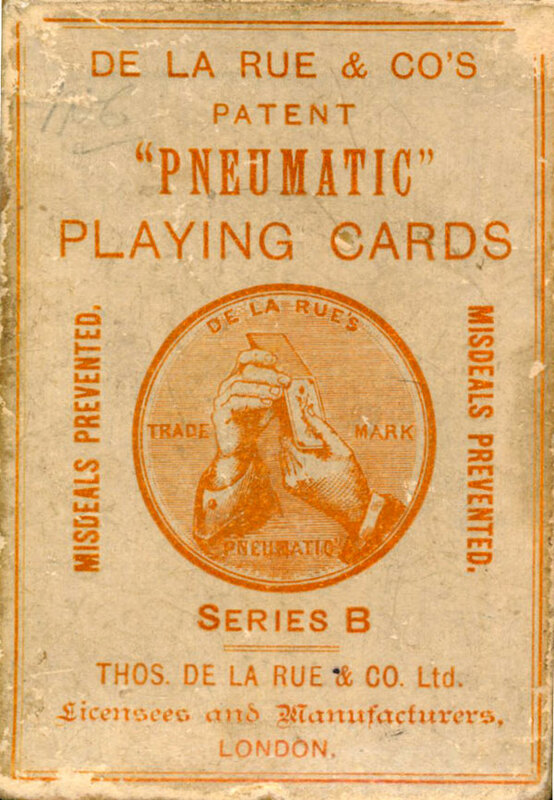 Over the years Pneumatic became an established brand name for De la Rue's playing cards with pictorial back designs and were featured regularly in stationery catalogues and brochures in the 1930s. 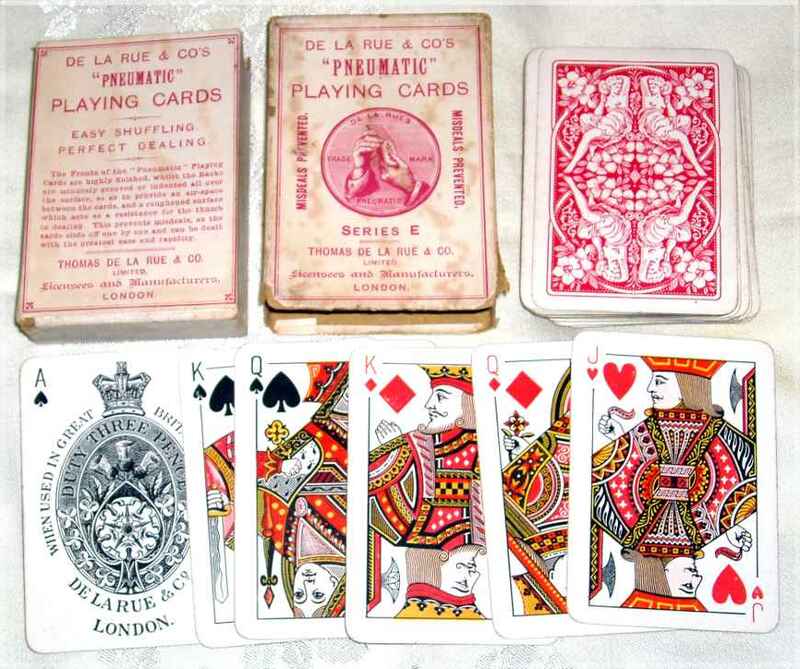 By this time Pneumatic playing cards were presented in fancy padded boxes with assorted designs, metallic badges, with or without gold edges, in wide or narrow size as well as patience packs, priced at between two and three shillings per pack. 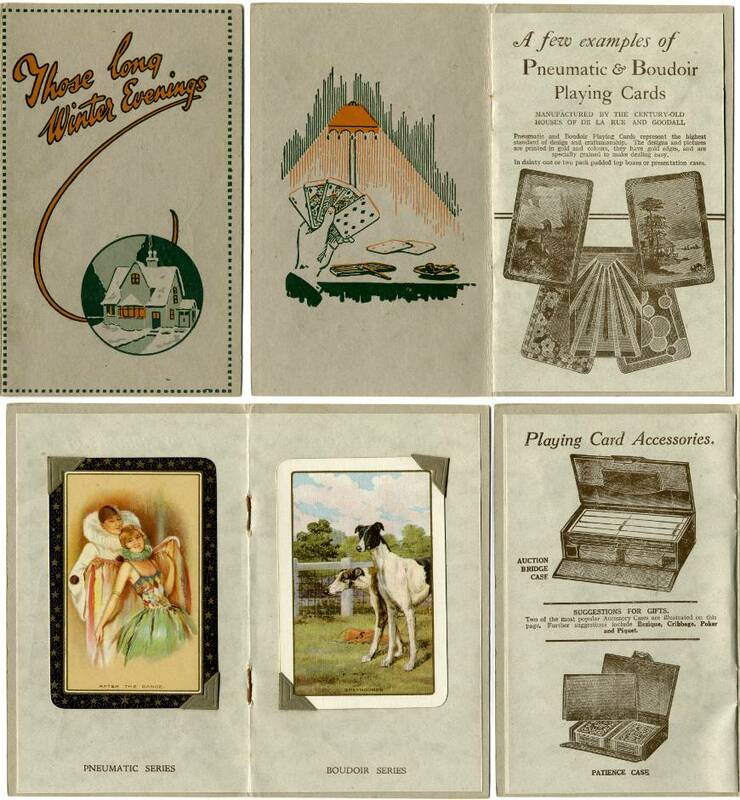 Above: publicity leaflet featuring Pneumatic and Boudoir playing cards, c.1930. 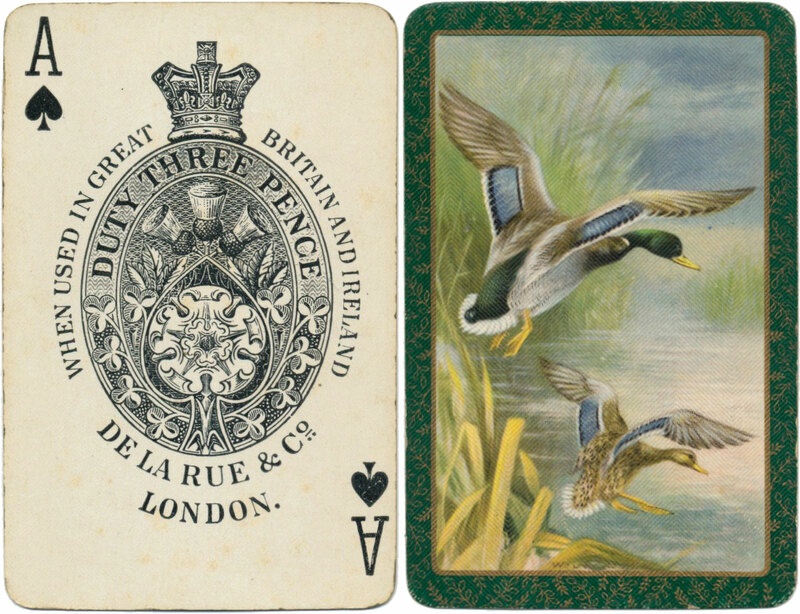 The Boudoir brand had been acquired when De la Rue took over Goodall & Sons in 1921. 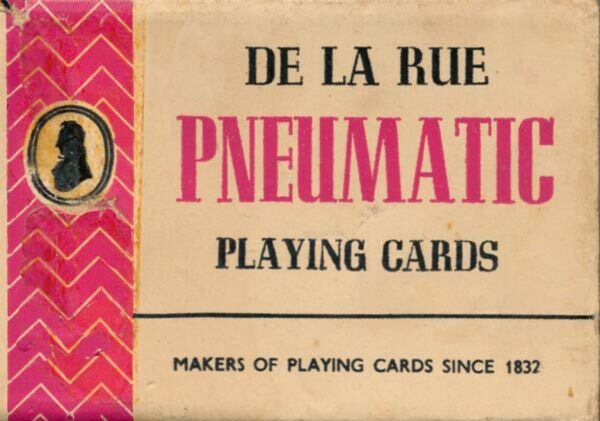 Left: 'Pneumatic' Pictorial playing cards by De la Rue, c.1953. 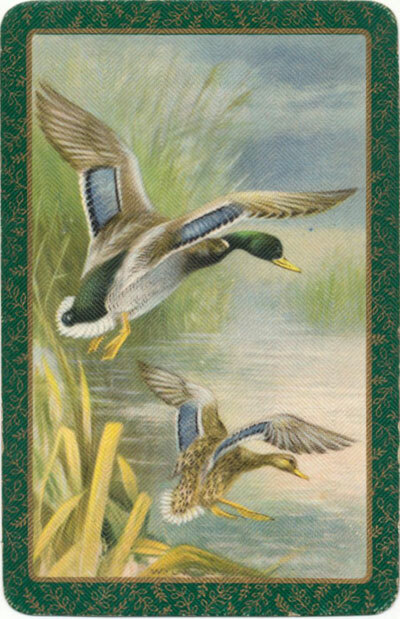 The backs of the cards are embossed with De la Rue's special herringbone 'Pneumatic' finish.